We looked at the top 1 Top Load Washers and dug through the reviews from 4 of the most popular review sites including Top Ten Reviews, Consumer Reports, BestReviews, The Spruce and more. Through this analysis, we've determined the best Top Load Washer you should buy. In our analysis of 34 expert reviews, the Amana Amana Top Load Washer placed 7th when we looked at the top 9 products in the category. For the full ranking, see below. 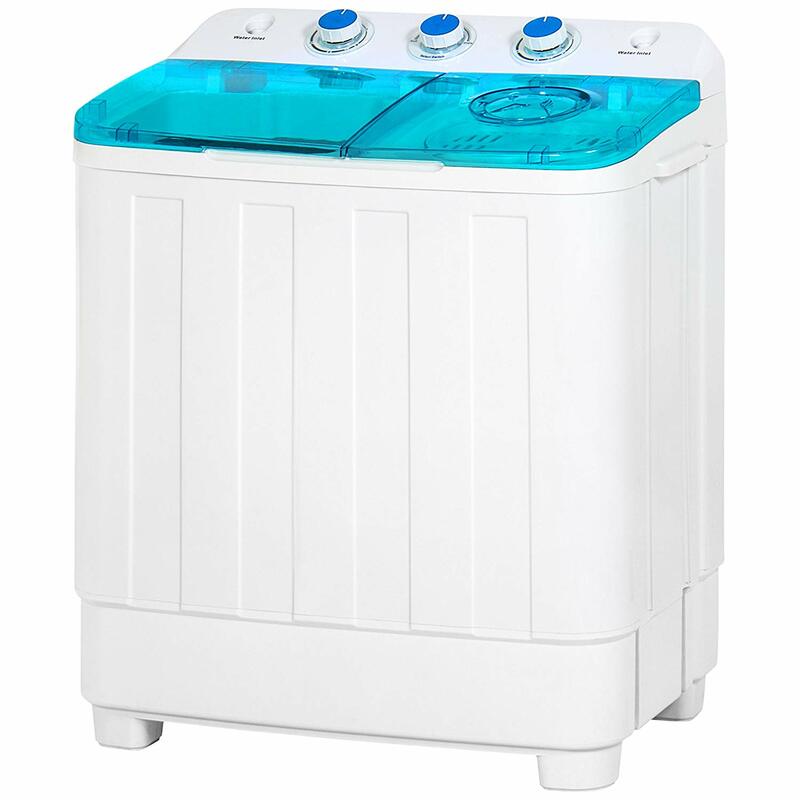 Checkout The Best Top Load Washer for a detailed review of all the top top load washers. The Amana NTW4516FW is the least expensive one we reviewed. Provides a 3.5 cu. ft. capacity that is practical for most consumers. Agitator delivers powerful action. Includes deep water wash for big loads. Comes at a mid-level price point. The Amana’s basic skill set is sufficient to handle many everyday laundry scenarios. It even includes a self-cleaning cycle that is not often found on budget washers. This has the smallest capacity of those we compared. A bit challenging to set up. Some wash cycles seem like they run for a long time. 3.5 Cu. Ft. Capacity White Porcelain Tub. 8 Wash Cycles / 2 Options / 5 Temperatures. 700 RPM Spin Speed. Dimensions (WHD): 27.5" X 42" X 27"
Let’s face it: Nobody likes to do laundry. And that’s why buying a washer may be the most important purchase you make. It will be one of the appliances that gets the most use in your house, apart from maybe your dishwasher. If you’re in the market for a top load washer, congratulations! You’re saving money already. In general, between the two types of washers — top loading or front loading — top loaders tend to be less expensive. On average, they can also handle more material per load, and they tend to run through their wash cycle at greater speeds. As the name implies, laundry is loaded into the machine’s cleaning drum through the top, with controls and display monitors on a panel toward the back. Historically, they’ve used a plastic spire called an agitator that sits in the middle of the drum, turning during the wash cycle with fins on it to help catch and tumble the clothes. While models like the Kenmore 4.2 Cu. Ft. Top Load Washer still have this feature, the majority of top loaders have done away with the agitator. 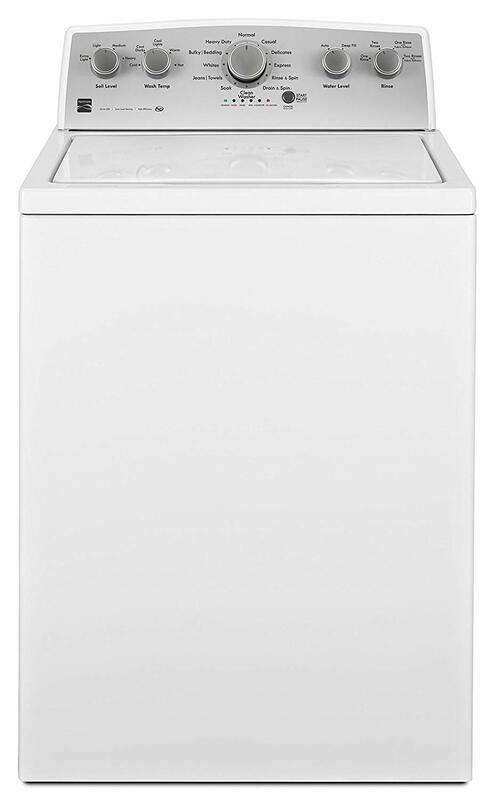 Newer washers, such as the LG Efficiency, use an impeller, which is a low-profile hub at the bottom of the drum that agitates the clothes by shooting a cross-current up into the laundry. This has the obvious benefit of creating space for more clothes, and it generally handles fabrics more gently. Another thing to look for if you’re concerned about your bill is Energy Star certification. This EPA-backed rating establishes resource-saving standards for a variety of appliances. In the specific case of machines like the LG Efficiency Top Loading Washer, it means that a unit with this certification uses roughly 25% less electricity and 33% less water than comparable, non-certified washers. Not only does this save the environment, but it will also save you money on utility bills. Cash-saving perks aside, the type of laundry you do will likely determine the kind of washer you need. Plan on doing a lot of sheets? 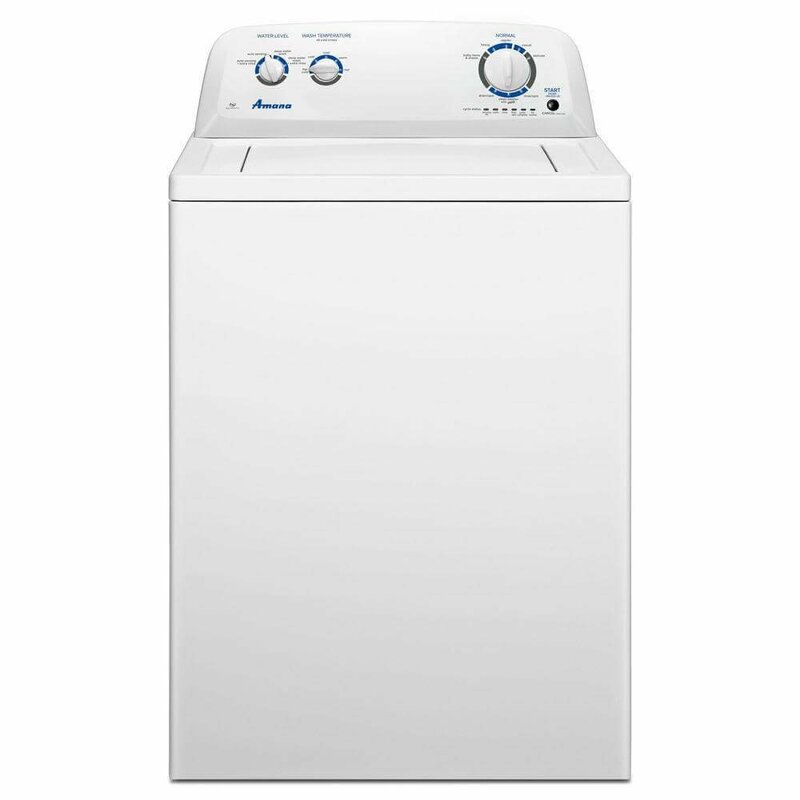 You’ll want to start by considering a washer with high-load capacity. Among top load washers, the drum capacity can vary greatly, anywhere from 2-3 cubic feet up to 8 or more. And while size matters, it’s hardly the only consideration. Your washer might have room for that fitted silk sheet, but it doesn’t mean it can wash it gently enough. It’s worth a look at the washer settings to determine what kind of fabrics the machine will be able to handle. While we miss those college days when we could set every load on “cotton/sturdy” and turn it on, family life means a lot of different fabrics and different washing methods. If a washer has the capability to handle your specific kind of laundry, it will likely have a setting to match. While older top loaders still might require you to drop in laundry detergent directly, the majority of modern units have a dispenser. This little plastic receptacle is good for more than saving you the trouble of measurement. Automatic dispensers can time out the dispersal of detergent at different stages in the wash cycle, and many models also have separate bins for fabric softener or bleach. If your washer has a pre-soak setting, that’s a great option for especially dirty loads. It means the unit can agitate and dole out a bit of extra detergent in low water prior to the main cycle for a focused burst of cleaning. No matter what kind of washing machine you’ve got, you’re much better off than the average household of the 1700s. Until the advent of James King’s “drum” style washing machine in 1851, people had to make do by slaving away over a scrub board at the nearest stream they could find. Sailors had it slightly easier. For decades, seamen would wash their clothes by tossing them overboard in a bag of loose burlap, dragging them behind the ship and letting the salt water gradually rub them clean. In 2016, a team of British psychologists and statisticians attempted to tackle one of the most pressing mysteries of modern life: Why your socks go missing in the wash. While they didn’t uncover any interesting culprits such as interdimensional warps, they did come up with a complex formula to determine the likelihood of a missing sock cropping up. It takes into account factors such as load size, number of members in the household … and the washer’s level of “positivity toward doing the laundry.” Based on the latter variable alone, they determined that men were more likely to lose their socks in the wash than women, with only 26% of their survey claiming to take pride in the task. Avoid a move-in headache by considering the size of your washer first and foremost. And we’re not talking about the size of the interior drum. Top load washers can be smaller on length and width than front loading models in general, but some can still take up more space than a small apartment’s laundry room will allow. Make sure to measure out the room, taking into account at least six inches of space behind the washer for power and hose hookups. For small laundry rooms (or spaces with no laundry room at all), consider a washer–dryer combo like the Best Choice Products Portable Mini Twin Tub. Now, about that load size. You’ll want to check the capacity before you buy and compare it to your average load of laundry. Most washers measure that capacity in cubic feet, and it can vary greatly. Need perspective? Bear in mind that a king-size comforter will take up roughly 4.5 cubic feet, and a single cubic foot can hold 2-3 bath towels. Needless to say, never overload your washer. Clothes packed too tightly can harm both your washer and the clothes, especially in models that use an agitator. Budget washers can be fine for those who don’t plan on doing laundry too often, but consider an HE or Energy Star-certified model for extensive use. HE washers will have at least one setting that utilizes less water in the wash cycle. Energy Star certification means the washer will use significantly less water and power, saving you money on two utility bills. Note that HE washers will need special HE detergent to get the most out of each wash. Living in an apartment with thin walls, or a house with a light sleeper? Noisy washers can be a huge headache. Check the reviews to see how they fare. There’s no telltale sign for how noisy a washer is going to be, but in general, agitator-equipped older models will create slightly more of a racket, especially when dealing with larger loads. HE models are greener, and usually have the added benefit of quieter operation. Sturdy construction can make or break a purchase. This is an appliance you intend to keep for a while, after all. The casing and primary parts for most washers are going to be steel, but plastic isn’t necessarily a deal breaker if you’re buying a smaller washer. Regardless of size, the most crucial part of the washer is the drum. Look for stainless steel or some comparable alloy. It should go without saying that you want a material that won’t rust, and stainless steel has the added benefit of being able to weather the inevitable impact of loose change, keys or toys. Washing a lot of delicates? You’ll want a washer that has the agitation and temperature settings that can handle it, and you may want to lean toward a model that mixes loads with an impeller as opposed to an agitator. If you really care about your material, don’t sleep on special settings such as pre-soak, which can handle tough stains with an extra jolt of detergent. A steaming option can be another nice feature, especially in units with an agitator or smaller drum. It’s no substitute for real dry cleaning, but can help smooth out the wrinkles in problematic fabrics. Check to see what kind of dispenser your washer has. A dose of fabric softener can help your clothes keep their smoothness, and a bleach compartment can be useful when you need to focus on tough stains. Mind you, you can still use softener or bleach even if the dispenser doesn’t contain a space for it, but you’ll need to add them manually at the correct time in the cycle. With bleach, this can be especially crucial. Wait at least five minutes after the washer has started before dropping in a half-cup. Otherwise, it can cancel out stain-fighting enzymes in the detergent.